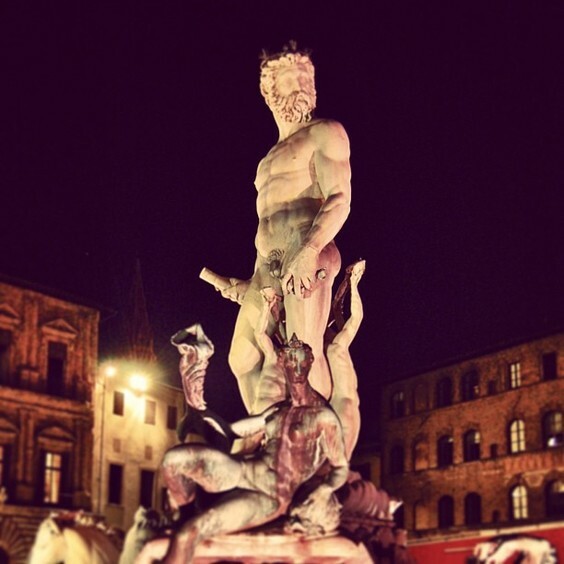 The Fountain of Neptune by Bartolomeo Ammannati at night. Depending on what scholarship/urban legend you proscribe too, this is either a statue hated by Florentines or loved by Florentines and locally known as "Il Biancone" (the White Giant). The face of Neptune is that of (like many other of this period) Cosimo I de' Medici.